For the past decade, I've been toying with an idea for a non-fiction book. 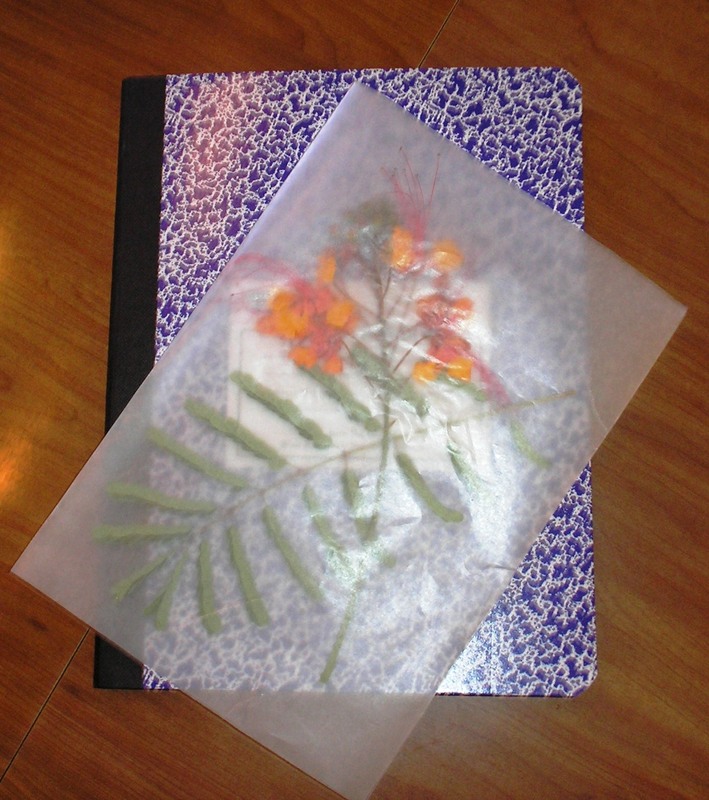 While the idea appeals to me, I'm not certain how well the inspiration will transfer to paper. In other words, I'm not sure if there's a market for the final product. Now, I hear what you're saying: If you don't sit down and write, you'll never know if it will work. Write. Sometimes, thinking about writing is more work than actually sitting down to write. Make time to research, conduct interviews, write, rewrite, rewrite again. Nobody ever said writing was easy, but if you believe in your project, you'll make the time to write. You'll find a critique group that pushes you to create the best possible product. You'll accept constructive criticism, revise, and be flexible. Writing isn't an ego trip. It's about taking a passion and sharing with others. Now, after this pep-talk-turned-blog-post, I'm ready to start writing. Are you? Do you have any tips about writing non-fiction that you'd like to share? by LuAnn Schindler. LuAnn writes a weekly column about her home state, Nebraska. You can find out more at her website http://luannschindler.com or follow her on Facebook or Twitter - @luannschindler . In the upcoming weeks, I am lucky to be able to interview both an area sculptor and a Christian rock band that's on a nationwide tour raising funds for Haiti earthquake victims. Both artists expressed thanks for giving them the opportunity to promote their work. When reading art profiles, I often finish with an empty feeling, like the writer barely skimmed the surface and wrote a bare-bones article that doesn't make me want to learn more about the artist or his/her/their work. I refuse to write fluff. I want to produce more than a puff piece that barely skims the surface. I want to write an in-depth profile of this artist and group of musicians and showcase both the work ethic and product, as well as the human interest side of the story. Research, research, research. Accuracy should be a top priority for the arts profile writer. Dig into the artist's background, look at previous projects, and familiarize yourself with upcoming launches. Don't simply check out the artist's personal website. Go beyond! Check out databases that cater to a particular art genre, a publisher's website or artistic organizations. Read older articles about the artist you're profiling. You'll be amazed at the new questions you come up with! Make your list, check it twice. Then, interview. I like to come up with a list of simple questions based on background. These basic facts are the first points I go over during the interview. Then, I have a list of 15 to 20 questions that focus on the current project and past work. Look for a pattern and you'll usually find a common thread that runs through their work. Still, some questions may require deep thought. Sometimes, a basic question draws the best responses simply because the answer seems so obvious, but after consideration, the artist digs to find the answer. I once interviewed an author who, at 60-something, hadn't thought about why her main characters aged along with the author. "Write what you know," summarized her response. Search for secondary sources. After interviewing the artist, I like to talk to others involved in the new project. This tactic gives me a new, fresh perspective, and usually, it covers new material not covered in the interview. Plus, I often get fantastic sidebar material. Remember, the artist profile doesn't have to amount to fluff. Rather, it should engage readers and give them an up close and personal view of what motivates the artist while motivating the reader to discover more about the subject. What artists profiles have you read that stand out in your mind? What made them unique? by LuAnn Schindler. 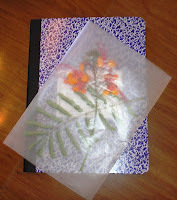 Follow LuAnn on Twitter @luannschindler or visit her website to read more of her work http://luannschindler.com . Outdoor activities sizzle and spark creative juices. Pictures in the mind or from the camera inspire hot colors and sweaty ideas, which fuel hot inspiration. Sunsets full of wonderful colors, hot pinks, vivid blues, brilliant yellows and luscious lavenders merge together to create new colors. Flowers of every shade contrast against the blanket of green grass. Visit a poem from childhood. Every Time I Climb a Tree by David McCord is a good one. If this isn't a favorite, share one that is. Every area of the world has some favorite summer sayings: "Knee high by the Fourth of July", "Don't swim for an hour after you eat", and "Dog days of summer". What are some others? What does the first one mean? What happens during the "Dog days of summer"? Write summer related words. Here's a few to start with; Fourth of July, picnics, outdoors, sunshine, hot, sticky, sweltering, insects, bugs and camping. How about some cooling words: Swimming, ice cream, ice cold tea, or ice cold watermelon. Summer is also a time of favorites. Favorite places to walk, favorite summer sports to play, favorite clothes to wear and favorite books to read. Summer reads are normally lighter and shorter. Nice dark print is a plus when the beach is the preferred reading spot. Take a lot of photographs and keep notes on each one. When that scene comes up that needs a willow tree softly blowing in the summer breeze pull from memory and add detail from the photo album. Look at the picture. Is the tree young or old? What color is the grass, the sky or the lake? How did it inspire the photograph? Could a family of fairies or a tiny village live under this toadstool? Is there a summer love kindling that only happens under a toadstool? Long days and hot nights beg for hot inspiration. On those lazy, hazy days of summer—write hot. In a world where the latest “in” thing changes from month to month, if not week to week do you ever wonder if you’re dating yourself when you write? After all, it takes a long time to write an 80,000 word novel. Then there’s the process of finding an agent and publisher, going through the editing phase and finally getting your book into the stores. We’re talking years here. So when readers pick up your brand new release and read a page about the main character’s obsession with the TV show “ER” will they wrinkle their foreheads in confusion? What about a scene that takes place in spinning class when absolutely nobody spins anymore? The word ‘awesome’? Will your trendy details have readers flipping to the copyright to see when this book was first published and surprised to find that it was this year? I used to be obssessed with removing all the trendy details. Sure, you can get away with a few dated details but will too many make what was planned as a contemporary novel feel like a leftover from the 90’s? But now, after receiving an unusual email last week, I’m rethinking my decision. The email was about The Love Legend, a novel by Woodward Boyd released in 1922. 1922! It is being re-released by Rvive Books(not a typo—only one “e”). Set in 1920’s Chicago the book is called “a literary time capsule” in the forward by Caroline Leavitt. Imagine if all the timely references had been deleted by an author worried about her book being dated? A romance floating in an indistinguishable time period it would have been interchangeable with every other romance story. Would it have survived to 1923, let alone 87 years to 2010? I’m now convinced that each story should be firmly rooted in a year—trendiness be d#!5ed. The timely quirks will add to a strong storyline, making the book memorable. And isn’t that what we want? A timeless story with the power to capture readers for generations? “The Love Legend, set in Chicago in the 1920s, follows the lives of four very different sisters, each either following, struggling with or rejecting what their mother calls the love legend—a belief that somewhere out there is the perfect man who will somehow find you, and once you marry him, all will be hearts and roses. But don’t think this is the twenties version of chick lit or even a revamped Jane Austin tale, because Boyd is out to challenge the illusions of her age. She has bigger issues in mind, and the love legend only serves as a thread connecting them. 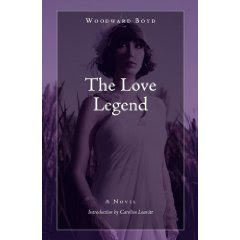 By leaving a comment you can enter to win a copy of The Love Legend by Woodward Boyd. Thanks, Rvive Books! Do you think including fads in fiction writing dates it or makes it more interesting? Do you believe there’s a perfect partner for every person? If you had to describe your personality in one word, what would it be? Pia Padukone is an aspiring author and a proud native of New York City, where most of her stories take place. A graduate of Stuyvesant High School and the London School of Economics, Pia entered the professional writing world as a copywriter for advertising agencies. She has written children’s books, which embrace the importance of growing up tolerant and understanding in a multicultural environment. Pia’s work is influenced by the world around her—observing interactions while running in Central Park, waiting on line in the grocery store, and those ever-engaging exchanges on the subway. Pia was a finalist in the Seventeen Magazine Fiction Writing Contest. When she’s not writing, she’s reading, triathlon-training, and discovering the endless hidden secrets of her city. Pia is thrilled to be a finalist in the WOW! Flash Fiction Contest. Please read Pia's winning entry here, then settle in for our chat with Pia below. WOW: First of all, many congratulations on your winning entry, Pia! How does it feel? Pia: Thank you! I feel extremely honored. I've written my entire life, but always for myself; I've never taken the extra step to enter a writing contest until now. It means so much to be recognized, not simply for reasons of pride, but for the acknowledgment that I am a good writer, and that other people enjoy reading my work. Moreover, it's such an enormous distinction be selected by WOW! and from a group of strong, dynamic, and smart women. It's the best kind of encouragement to keep it up. WOW: What a great compliment, Pia! We’re glad you entered, your entry was a fabulous read! Please tell us more about the inspiration behind your story. Pia: I started Decaf as part of a writing group prompt to depict a scene at a breakfast table. Initially, the story unfolded as a rushed interaction between a husband and wife, but I found it might be more powerful to depict a relationship where there is obvious tension without direct confrontation. I was trying to convey the importance of direct communication and the effects of passive-aggression. WOW: I think you made the right choice to stick with your characters’ passive-aggressive relationship. In reading your story, I wanted them to just say what they meant. Well done! Let’s talk about your writing history. Can you give us some background on it? Pia: I've always loved writing, whether it was doing 'share stories' with friends in grade school, where one person wrote a chapter and passed it back and forth, to keeping diaries, to writing short stories. I currently work as a copywriter at a pharmaceutical advertising agency where I write promotional copy. It's challenging but obviously quite different than creative writing. WOW: When writing, what kind of themes do you like to explore? Pia: I really enjoy finding subtlety in writing. Sometimes I find that sometimes my style is too subtle and feedback is that people don't really understand what is going on. I need to learn to hone that skill. It may sound trite, but I love exploring relationships between different groups of people. And most of my stories stem from autobiographical or personal memories or experiences; it's where I take the storylines that are completely different from my life. There are so many dialogues that I overhear on the subway, or art galleries I visit in New York City that inspire and spark an idea in my head; you could say that New York City is my muse. WOW: Exploring relationships between different groups of people doesn’t sound trite at all, that’s how you learn to develop interesting characters. What better place for inspiration than New York? I’m somewhat biased, though, since it’s one of my favorite places. I always have plenty of ideas to bring back after a visit there. Let’s return to your writing history a minute. Your bio mentions writing experience as varied as working as a copywriter for advertising agencies to writing children’s books. Can you elaborate further on that? Pia: After I graduated from college, I followed in my mother's footsteps and became a copywriter at an advertising firm. My job allows me to both write and think creatively. But it also encourages my creative writing even more, because I write factual content all day long. The children's books I've written were inspired by watching my younger brother experience growing up as an Indian child in a diverse environment and the importance of identity, tolerance and understanding in a city like New York, where so many different types of people live in such intimacy and closeness. I find that writing for children is extremely humbling; often it's even harder than writing for adults because you're forced to think through the mind and see through the eyes of these little people who are experiencing something for the first time, even if it's something you, as an adult, take for granted. You have to dig into the depths of your childhood and often, surround yourself with children to understand how they feel. WOW: Thanks for sharing that. I think that being both a copywriter and children’s writer helps to make you more well-rounded, and that's will show in your writing. Let's move on to writing projects, are any you’re currently working on? 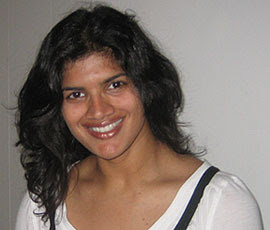 Pia: I recently went to India and was really intrigued by the hijras, who are males who adopt feminine gender identity and roles. They have their own communities and roles and are both feared and respected by Indian society. I have been researching them in an effort to be inspired by their collective story. I think, partly because many people don't know much about them, that there is a vast amount of material to draw upon about these peoples' lives. I'm also constantly brainstorming and considering new ideas and themes for my childrens' stories, and I hope to embark on a new one soon. Finally, I'm in the midst of writing various short stories. I hope to have a compilation by the end of the year, but I'm also learning that good writing doesn't happen overnight. WOW: You certainly are keeping yourself busy, which is a good thing. Your research on the hijras is fascinating, what an interesting source to gain inspiration from! And how true that good writing requires one to continue writing and honing your craft. Wrapping things up, what bit of advice would you like to offer our readers? Pia: The best piece of advice is just to write. I have a postcard above my desk, which simply states, "Don't forget to write." It doesn't matter what you write, whether you think it's good or bad, or how you're inspired. Even if you're stuck, remember that catalysts always surround you, from the conversations you overhear, to the books you read, to a catchy subway ad that grabs your attention. Almost anything can spark a gem. I've found that as long as you get something down on paper, it can always be edited later on, but the foundation is key. WOW: I'm going to have to try the postcard idea! Thanks for your writing words of wisdom and taking time out to chat with us today, Pia. Best of luck with your writing! "In the writing of memoirs, as in the production of shows, too much caution causes the audience to nod and think of other channels." Gerald Clarke. The writer in us desires to share where we've been, what we've learned, our thoughts on life, love, forgiveness, strength and the art of being human. We pick up the pen and...suddenly all our experiences seem dull and lifeless. Good news, Melanie Faith is coming to the rescue with her class The Art Of Truth: Writing Your Life Into Short Creative Essays which begins Friday, June 25th, 2010. There is still time to enroll in this exciting class; please visit our classroom page for information. Welcome Melanie! We're excited to have you as a returning instructor here at WOW! Workshop and Classes. This time you will be teaching a course in creative essay writing. Would you please elaborate on what exactly is a creative essay? How is this different from other forms of memoir? Melanie: Thanks. I have thoroughly enjoyed working with WOW! writers and staff in the three other writing courses I've taught, and I'm excited about this new essay writing class! I would be happy to elaborate on the creative essay. While both memoir and creative essays are based on the life experiences of the author herself, memoirs tend to be linear and ordered in sequential time periods, whereas creative essays (sometimes referred to as the "creative nonfiction" essay genre) may jump backwards or forwards through time or omit certain eras or details entirely, choosing to focus a spotlight on one particular theme or one particular experience. In general, creative essays are shorter in length, but still integrate many of the fascinating literary techniques of memoir as well as fiction and poetic techniques, too--such as a focus on setting along with rich and resonant imagery. In the class, students will use various prompts to inspire five individual essays of under a thousand words each for supportive and constructive feedback and suggestions each week. I will also provide three professionally-written and published personal essays each week as examples of the variety of essay styles and techniques which students may study to note what other essayists have done and then incorporate into their own drafts. I see, so creative essay is more artistic than the average auto-biographical account of one's life experiences. What is the benefit to learning the art of creative essay? What skills will students learn that can be applied to other areas? Melanie: Students will delve into memories (and in many cases unearth details they'd long forgotten) and have the chance to set those moments onto page. For many writers who dream of one day telling their own stories in their own ways but find it difficult to begin, completing an essay can be a huge accomplishment. Whether wanting to note these experiences for one's own clarity at a crossroads in life of hoping to set down the way it truly was for future generations, students will find the essay form to be both accessible and illuminating. Many of the essays we will read and use as class examples read as fascinating and immediate as a chat with a good friend or an afternoon with a good fiction story--with the added bonus that students are sculpting meaning from real life events. So seldom in life do we have time or energy to reflect at length on what we have done or what has been done to us, much less where we have been and where we hope yet to go. This course will provide that invaluable opportunity--along with learning tools to structure a compelling and meaning-rich personal narrative from the dizzying array of details the writer may choose. Sounds like there is a therapeutic quality this style of writing (smile). What are some of the struggles or obstacles students are facing in their writing practice when they come to you? Melanie: One of the biggest struggles my students share is the deep desire to write despite various limitations on time in making writing a priority in everyday life. As busy caregivers, grandmothers, sisters, career women or stay-at-home moms, having a consistent weekly deadline can be extremely helpful in making time to write in an already crowded schedule. I very much admire my students' breadth of commitments to so many others in their lives as well as their determination to see their own experiences shine on the page. In addition to the structure and motivation in the form of regular deadlines and teacher feedback on their pieces, the course also provides a community of writers. Writing can be a solitary craft, and the support and interaction with other writers can be tremendously motivating. In my last WOW! writing course, I created a Google group for students to introduce themselves, ask writing questions (of the instructor as well as each other), post writing quotations and excerpts of their own writing and writers who have inspired them, as well as to download instructive writing files that I post. I was thrilled at the level of interactions and camaraderie of the students, and I will be creating a private Google croup again for the essay writing course. For writers without a writing group in their community in particular, the online class group is a wonderful space to discuss the writing craft, challenges and joys of works-in-progress, and to develop contacts and courage to write one's own best work. I look forward to virtually "meeting" and getting to know my students who sign up for the course! We love that feeling of group camaraderie here at WOW! It is amazing how much more inner strength a writer experiences when she has access to a group of people sharing similar goals. Many times when we begin to write about our past experience we find ourselves writing about an incident from an outside or distanced perspective. Can you share with us a tip or trick on how to get back into the emotional memory? Melanie: Great question! 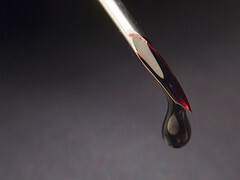 Particularly when writing about painful or previously suppressed memories, it can be a challenge in the first draft for the essayist to draw near to the incident without emotionally distancing. One of the best tricks for drawing close to the memory is the "five minute challenge"--an initial five-minute free write. (Students may, of course, keep writing past those initial five-minutes on the clock, and are encouraged to do so, but five minutes appears to launch writing without too much second-guessing or criticism from the internal editor.) Within that amount of time , it is very difficult to self-protect or shield the emotional details from bubbling up from the pen; it's truly amazing what five mere minutes can deliver! Students typically begin the first two or three sentences in third-person, in a more formal and distanced Voice, and then (because of the constriction of time) find their sentences relaxing and becoming more fluid and self-revealing as the draft progresses. Students have frequently noted an "aha!" moment half-way through an essay draft which draws very close to a personal truth or emotional vulnerability that otherwise they would not have felt comfortable revealing at onset. When editing the piece after the free-write, students often find that they can edit or even entirely omit the first few sentences where the essayist is cautiously working a way into their real emotional territory, once the subconscious begins to deliver ideas and the essayist begins to follow the flow, letting the emotional guard down and daring to write what before seemed impossible to share. So I would certainly suggest a five-minute challenge, followed by editing to get to the "real" emotional terrain of a piece. Another little trick I've shared with students wanting to draw closer to emotion in a piece: highlight one sentence in the piece that seems to shimmer with beauty or to leap off of the page with vital truth--then begin the second draft of the piece with that sentence. Another tip to draw near the emotion (and which our class text, Courage & Craft also suggests) is to practice keeping a journal. "A journal should be raw and messy... The more secure you feel about the privacy of what you 're writing, the more free you'll be when you write... When you write about traumatic events or huge milestones in your life, you'll get the energy and the feelings down, but in the moment it's unlikely you'll have the perspective. It's all raw data-- valuable for its energy and detail, but it needs time to cool so that it can be shaped into meaning. During the bad times, just take notes." Writers can then integrate the emotional energy and specific details from their unorganized journal entries into their more-ordered essay drafts at places where the authors have backed away a bit from he emotional detail of gone flat out of self-protection. Terrific Tips! Thank you for sharing them with us. Melanie, what do you hope the students come away with at the end of the course? Melanie: First and foremost, their experiences in life matter and can be shaped and molded to an art form that others will find compelling. While a creative essay may ostensibly focus on the experiences of one person's daily life, the essay form is amazingly connective. Also, I want students to come away with further ideas for writing future personal essays, and enriched sense of the variety of literary techniques used in crafting writing, and (just as importantly) five of their own new creative essays to refine and, potentially, to submit for publication. I sounds like this class could open up new doorways in a writer's life. Thank you so much for visiting with us today, Melanie. We are looking forward to this class. Readers, if you are interested in learning the art of writing creative essays or would like to read more about Melanie Faith please visit our classroom page. The Art Of Truth: Writing Your Life Into Short Creative Essays begins Friday, June 25th, 2010 and runs for 5 weeks; enrollment is still open but we encourage you to register now as class size is limited. All writers should go to at least one Writer's Conference. Most conferences have something for everyone, even readers and spouses. There are classes and workshops for the novelist, the short story writer, the article writer, and the poet. Writer's conferences are all about networking and support. There you will meet people who will become your lifelong friends and people who know people. The comradeship is above anything you can imagine. With the internet and social media so accessible, writing isn't as much of a solo activity as it once was, but still meeting people face-to-face tops an online group. Agents, editors, well-known authors, publishers, experts in various fields and instructors all give of their valuable time to make the experiences memorable and useful. Each will give you special attention when you contact them again. Personally, at this last conference, I received a request from two agents and an editor on my work. The first conference I attended I did not receive any requests, but it was still the most wonderful experience. I met Sue Grafton and many other authors. I went a little crazy with the getting the autographed books at that conference; I don't know if I will ever get the time to read them all. The accommodations, the food and the entertainment are lively and enjoyable. The people are friendly. Even if you are bashful, all it takes to make a friend is a smile. Many of the conference attendees are old hands and they'll guide you along. Guides lists many of the conferences, but keep an eye out for local ones that may not be listed there. The only complaint I have about the conferences I've attended is too much to do and too little time. Frank Capra said, "I made mistakes in drama. I thought drama was when actors cried. But drama is when the audience cries." For me, I would hope the tears came because the theme of the play resonated with the audience and not because my drama was dreadful. The idea of watching a troupe of actors bring my words to life on stage intrigues me. As a high school drama director, finding a quality play that makes a statement and an impact on the audience is important....and difficult. I've tinkered with the dramatic form before, and I've even contemplated adapting a favorite novel for the stage. But where does a fledgling playwright (like me) begin? In minimalist form, a play builds around a three-act structure. This doesn't mean a play literally has three acts. Instead, three elements of storytelling have to exist. The two "C's" of drama occur in Act 1. Characters are presented to the audience and the conflict is brought to the forefront. Action escalates in Act 2. Characters take necessary means to get what they want. Success or failure happens in Act 3. Do the characters achieve their goals? Do they get what they are striving for or do they fall flat? Once a writer outlines the three-act structure, it's time to develop characters, establish a setting and create dialogue that provokes action. Test dialogue validity and pacing by listening to others read your script aloud. You may be surprised at what's missing from the play package! Listening will help you tighten the dialogue and story structure. Within a play, the "show, don't tell" theory is so important. And since the action plays out on stage, the visual image of your words are illustrated through every move an actor makes. If playwrights incorporate all these elements into a 20-minute play or a 2-hour drama, they hopefully will have an intense or comedic story that makes a dramatic impact on the audience. by LuAnn Schindler. Follow LuAnn on Twitter - @luannschindler.com or visit her website http://luannschindler.com . After attending the Philadelphia Writers’ Conference (PWC) from June 11-13, I am now filled with new ideas and motivation to write, market my writing, and write some more! The conference offered many different workshops and lectures on fiction, nonfiction and poetry writing, guest speakers like Jeffrey Zaslow and Larry Kane, and a Q&A session with a panel of agents and editors. One of the most helpful sessions for me was a panel led by PWC board member Don Lafferty, entitled “Sell Yourself and Your Writing.” I found it most helpful probably because selling myself is the area of the writing business I struggle with most. Although I have confidence in both myself and my writing, I still find it difficult to toot my own horn. I also don’t always know at whom I should be tooting. The panelists gave great advice on how to begin marketing yourself, both before and after your book is published. One panelist said that for three months prior to her book release, she spends eight hours a day doing nothing but marketing. During that time, she does things like create postcards to hand out and leave at various locations, hone in on the social networking community with particular interest in the topic of her book, send press releases and build an e-mail list of potential buyers of your books. The one bit of information that all of the speakers, lecturers and panelists throughout the conference kept emphasizing over and over is that writers need to be more proactive than ever with their self-marketing efforts and they need to start marketing and building a platform long before that first book is released. Many of the PWC workshops were geared towards writers with little experience, therefore much of the information was a review for writers who went to school specifically for creative writing or have been actively writing and publishing for a few years. It is helpful, however, to re-hear some of those fundamental parts of writing, like the power of quirky characters, how to show – don’t tell, and the importance of being part of a writing community. Other hidden gems of information crept into the conference, too, so you had to be alert at all times not to miss anything. Have you attended a writing conference lately? Did you find they were geared towards beginning or intermediate level writers? What did you learn from the conference that you never knew before? We’d love to hear about your writing conference experiences! 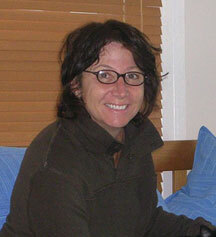 Visit Anne Greenawalt’s blog for an additional review of the PWC. Laura works as an administrator for the Audubon Society. Thanks to the oddities of American pronunciation, she gets to explain the difference between the Audubon, a 19th century bird artist, and the Autobahn, the no-speed-limit expressway in Europe. A Brooklynite, Laura also volunteers for the Green-Wood cemetery. She also enjoys cooking and calligraphy. 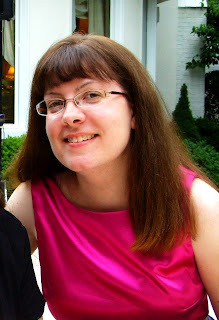 Laura earned a degree in English from Tufts University and a Master's degree in Victorian Literature from Oxford University. While a student at Oxford, Laura rowed for Pembroke and Exeter colleges. If you haven't had the opportunity to read Laura's story, Sights of Brooklyn, head over to WOW! and savor her words. 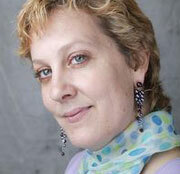 WOW: Laura, congratulations on receiving third place in WOW!s Winter 201o Flash Fiction contest. I always enjoy reading the winning entries and learning from each author's writing style. Your story, Sights of Brooklyn, is no exception! One of the interesting ties I noted between your fiction and real life is that the story is set in Brooklyn and you live there. How important is it for a piece to capture a sense of place, especially within the word limit confines of a flash piece? That said, Brooklyn was an essential choice for this story. Marianne's apathy and benumbed conscience are very much New York City character traits: in real life, just this April, a man was stabbed at 144th Street and bled to death on the sidewalk while dozens of people walked by, ignoring him. (Check out the New York Times story.) It's absolutely bone-chilling, and it's not like this is the first time it's happened. Phil Ochs wrote a song about it back in the 60's, "Outside of a Small Circle of Friends." Only in cities. WOW: What a heartbreaking story! For me, Sights of Brooklyn makes a strong statement about humanity. What does Marianne discover about herself when she helps the man on the street? Laura: I'm glad you asked this. I wouldn't say Marianne exactly "helps" the man on the street. It's a toss up whether or not she wants him to still be alive, because the scene is more frightening for her if he is alive. She calls 9-1-1, but that's more to salve her unease with her own conscience than to help him per sae. It's the sickening realization of this - that she doesn't connect with him as a human being until the last moment, when she's almost sure he's dead; that she's not acting as she does because she IS a good person but rather because she knows what a good person would do in the situation - that leads to her realization that she can't leave the city. Her minuscule victory against apathy is too important and it's what's needed here in the city. WOW: I agree that apathy divides and conquers, and unfortunately, wins all too often. Writing can take on its own persona and demands. Would you share your writing process with our readers? Laura: I wish I had one. I prefer setting days aside to do nothing but write, but with the reality of working and the necessity of errands, I tend to write in fits and starts when I can. Then when I have more time I come back to the pieces and find that some of them are terrible, but hopefully some of them will spark something. WOW: Writing definitely becomes a balancing act. Good writers also spend a lot of time reading. You earned a Master's in Victorian Literature. How has that area of expertise helped your writing? Laura: I'm fond of long sentences and archaic vocabulary, which probably comes from reading lots of older novels. Victorian books are written at a much slower pace than modern books - Dickens can spend three pages describing the London smog, and back then his readers just lapped it up. I think there's something valuable about realizing that you don't HAVE to follow the modern conventions - writing doesn't have to be soap operaesque melodrama and action all the time. WOW: Wonderful advice! I'm going to remember that tidbit and put it to use. You mentioned Dickens. What authors influence you and your writing? Laura: For my comic prose, I always go to the British humorists: Max Beerbolm, Saki, P.G. Wodehouse, and more recently Terry Pratchett. When it comes to humor, I'm definitely an anglophile - I'll defend the superiority of the original British version of the TV show "The Office" to the American version any day. More traditionally, I love Jane Austen, Charles Dickens, Thomas Hardy (Selectively - I can't stand Jude the Obscure) . . . and I never get tired of reading Hester Thrale or James Boswell. Before writing this story, I'd been reading a lot of Rex Stout (Nero Wolfe detective novels) and Ann Patchett. Maybe the idea for the plot came from the murder mysteries, and I only wish I'd absorbed a tenth of Ann Patchett's style. WOW: Great influences, plus a couple authors I haven't read. I will definitely check out their work. Obviously, your reading choices have paid off! What projects are you currently working on? WOW: (smiles) I'm not sure I could stay away from one of my projects that long. It sounds like you have several major projects to keep your creative juices flowing. Hopefully, you'll continue entering contests. What advice would you offer someone who is interested in starting to write flash fiction? Laura: Write something every day. 500 - 1000 words really isn't that much, and there's nothing more important than building the habit of writing. Talent is worthless if you don't sit down and make use of it. It can be hard to generate ideas from staring out the window, so have sources of inspiration handy. A dictionary of quotations or a book of paintings can get your mind going. If that fails, open a novel, pick a random sentence, and write a new story around it. WOW: Fantastic advice, Laura. Thank you for sitting down with The Muffin and sharing your views about writing. And again, congratulations on your successful story! “No one visits bookstores anymore.” Someone said that to me during a recent book signing(a dreadfully sad little book signing)and I had to admit that for many people that’s true. As the author of one book with two more in the offing I have to ask myself, “If not bookstores—where?” Where do I go with my stacks of books, bookmarks, and black felt tip pen? Think outside the box, they say. (Don’t they annoy you sometimes with their know-it-all attitude?) Well, I wasn’t exactly thinking outside the box recently—it was more like accidentally stumbling outside with a push from my daughter. This spring for her college newspaper she wrote a story about the “Senior College” at her university The Institute for Lifelong Learning is a free event held for members of the local community that included workshops, speakers, etc. When she covered the event they had an author as a speaker so naturally she encouraged me to send the organizer an email. I wasn’t optimistic. I wasn’t a college professor, a well-known author, or even a local resident. But she was persistent so I sent off the email and forgot it—until last week. Not only did they want me to speak, they wanted me to be the wrap up speaker at the end of the program which runs until April. There would be a lunch. There would be any technical equipment I needed(please, I get nervous around microphones). There would be a modest honorarium(which I considered generous for one hour’s work and the most I’d ever made for a speaking engagement). There would be an opportunity to sell my book afterwards. It would be held in the auditorium. What? The auditorium is where they hold the university plays. Where they herd all the freshman parents during summer visitation to give them advice about shipping off your baby to school. It has a stage, red velvet curtains, a sound system that could boom my voice to every corner of the space. I had thought we would be in one of the small meeting rooms or maybe the library. The auditorium. Why? We get 100+ attendees to our events the organizer told me. I acted cool but inside I was yelling OMG. That has to be three times larger than the biggest audience at any of my speaking engagements. One hundred people, all in one spot, hopefully talking about my book. Wow. I had never considered the university’s Senior College as a speaking venue. Truthfully, I never even knew it existed. 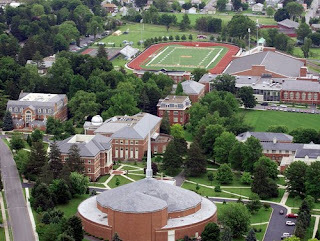 Visiting school websites, I’ve learned that Senior Programs are a regular event at many colleges and universities. I can’t even count the number of schools within an hour’s drive of my home. How about you? Children’s book authors have been hitting the elementary school circuit for years. It’s time for those of us who write for adults to follow in their footsteps. Contact a college or university near you! It’s June--How Are Those Writing Goals Workin’ For ‘Ya? Can you believe we’re six months into 2010 already? How are you doing with your writing goals? Well, mid-year, is a great time to fine-tune your list to make sure you’re on track for the rest of the year. Check out some of the suggestions below. A lot can happen in six months, especially when it comes to your writing. Do a run-through it to make sure your goals still meet your expectations. Not getting the amount of assignments you want? Having a hard time carving out some writing time? Whatever the roadblock, it’s easy to break through. Ramp up your submissions by putting in some more market research time. Limit the TV, Facebooking and tweeting, and get those fingers tapping on the keyboard. Use online job boards and other resources to discover new clients. Remember to tailor your goals to your specifications, so add or subtract as desired and continue to make them attainable. For instance, explore other genres by adding some classes to the list. Find a critique group to help prepare and polish your manuscripts, or search for another if your current one no longer meets your needs. If you feel you need to improve your networking skills, join a local writing organization or attend an event. And if a client proves to be more trouble than you’re willing to endure, end the relationship on good terms if possible, and move on to the next one. It’s June. Are your writing goals working for you? Revisit them, get past the roadblocks and finish 2010 strong. You can do it! Have you been having trouble getting into your groove--your writing groove that is? Days when the heart is willing but the mind won't follow? When the season changes from grey to golden we tend to blame Spring Fever and maybe we're right. We are, after all, creatures of nature and as such our biological selves need a change of season and a shift of habit. If you've been finding yourself in a focus-funk, here are some tips to make your writing time focus-friendly. A change of scenery inside will help connect you to the change of season outside. Shift the mood of your work area by adding a flowering plant, a fish bowl filled with shells, or a bubbling fountain. You could also convert a screened in porch or unused guestroom into a "summer office". Pay attention to lighting. We are drawn to the sun. If your office is dim your focus will go right out the window, literally. Keep the temperature comfortable, you will feel less sluggish in a cooler room. A small fan under your desk will help to circulate the air without the cost of lowering the thermostat. Balance the humidity. If you are having headaches, your eyes are scratchy or you find your vision blurring the cause could be dry air. Keep a cool air humidifier in your work area; just be sure it isn't too close to your computer. Drink more pure water. Our mental process works in an electrical-type fashion. Water, being a great conductor, is vitally important to clear thinking. In addition, if you are dehydrated your muscles will tend to be sore and your digestion sluggish decreasing your ability to focus. If you don't like the taste of water try adding a slice of citrus fruit or try another brand. Some water is more alkaline than others and tends to taste better. Use essential oils to stimulate the mind. 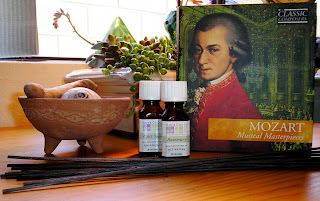 Essential oils work with the body to produce physical effects. Citrus scents and those from the mint family such as peppermint and rosemary will help clear the head and lift the spirit. Fill a reed diffuser with your favorite blend or just keep a bottle of your favorite scent nearby for sniffing. Listen to classical music to enhance concentration and memory; the effects are beneficial even when the music is played at low volume. Change your clothes. If you've been doing other things be it another job, washing the car or running errands a quick rinse off and change of clothes can help shift you out of the previous mindset and into work mode. Have a great tip for staying focused? Share it with your friends at WOW! here in the comment section. Just thinking about food writing is making me hungry! The delicious descriptions, the decadent prose, and the delectable subject matter allow writers to "play with their food," so to speak. Who wouldn't want to break into food writing? Food is what brings us together across the globe and across the table; and food writing--whether a food news story, a food memoir, or recipe writing--seems to be increasing in popularity, with new markets opening up all the time. So to find out more about food writing, we've invited WOW! instructor Mary MacRae Warren to answer a few questions on the subject and some questions on her upcoming e-course Food Writing: the Basics, and her newest e-course Recipe Writing Intensive: Invention, Inspiration and Collaboration. Both start Monday, June 14th. If you're interested in learning how to become a food writer from a pro who will personally guide you through the process, there's still time to sign up. Visit our Classroom Page for full curriculum details. A former general assignment reporter, Mary MacRae Warren's area of expertise is nonfiction with an emphasis on memoir, travel and food writing in the blogosphere. Mary is Social Media Manager for RefreshMyNest.com and writes a monthly retail column as well as food and food-related articles for both the Chapel Hill News and the Durham News. 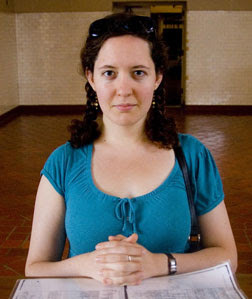 She published the popular blog, Mrs. Cleavage's Diary, for NY MetroParents and later established the well-read blog, Eat. Drink. Memory., which has an international, well-educated and affluent readership. Her work has appeared in the Queens Courier, Brooklyn Parent, Big Apple Parent, The West Side Spirit, and NYC City Guide magazine. Mary is a former professor at City University of New York, where she taught non-fiction writing, and a former instructor at Gotham Writers' Workshop. Welcome to The Muffin, Mary! We're thrilled to chat with you about your upcoming courses. 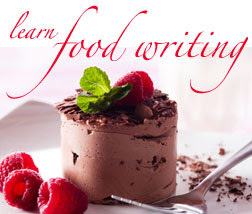 What are the different types of food writing you cover in your course Food Writing: The Basics? How do they differ? Mary: Food writing is like being presented with a dessert tray--so many delicious things to try! You learn how to cover food news, how to write a recipe-driven article, how to use memoir writing to tell a food story, how to begin developing recipes, how to review or critique a restaurant or food product, and how to interview and profile a food personality. You also learn how to write a pitch letter for an article you'd like to submit for publication. All of these styles of writing require the same attention to detail and the same journalistic skills of inquiry, research, drafting and revision, but each type of article requires a different approach or format. A food news story requires the basic elements of a news story--who, what, where, when, why and how. A recipe-driven article could incorporate food history, local cuisine or memoir. Writing recipes requires basic understanding of recipe structure as well as a certain cooking skill. We're all familiar with restaurant reviews and profiles. You learn how to apply the techniques of criticism in the culinary world and how to create questions that will get a personality to open up and talk about themselves. Those are all very useful skills to learn and certainly can be applied across various genres! Over the past few years, food writing has really become popular through memoirs like Julie & Julia--do you think this has opened up a new genre for those of us who don't already have professional experience as a food writer or chef? How much specialized knowledge does one need to become a food writer? Mary: Be a writer first. Know your craft and always strive to improve on your craft. Your subject matter, like taste, is acquired. If you are passionate about food and writing about food, you will find your niche in this genre. You don't need to be a chef to write about food. You do need to have knowledge of food and the food industry, just as you would need to be knowledgeable in other genres. There are so many resources for a foodie that it isn't difficult to learn and keep yourself informed about the food scene. That's good to know. So what are some key elements to consider when crafting a food story? Mary: That really varies with the type of article one is crafting. A review, for instance, needs to contain certain types of information--the business name and location, hours of operation and preferred methods of payment, accessibility, average check, suitability for children--which are basic to helping a potential customer make an informed decision. Added to that are the finer points: what sort of food is served; what dishes are noteworthy or not worth mentioning; how is the service; how is the decor and the ambiance; who is the chef and what should the reader know about him or her; does the business have a history or is it a new opening. Your newest course, Recipe Writing Intensive, has me intrigued! Who should take this course and what can they expect to learn? Mary: I'm really excited about this course. This course is for someone interested in the mechanics of writing a recipe. A chef who wants to author his own cookbook has the technical mastery in the kitchen but might want to refine his recipe by making it accessible for the home cook with tips and procedure or stories about the creation or tradition behind the recipe. A writer interested in food writing might want to better understand the mechanics of a recipe to enhance their skills and marketability. You'll learn how to write a basic recipe--the proper format--but also how to expand on your recipe. Recipes really consist of ratios and understanding basic ratios gives one access to thousands of recipes. Understanding how to combine flavors and textures adds to that portfolio. It sounds like a fun course! Thank you, Mary, for sharing your tips with us today! Readers, if you're interested in learning about food writing or recipe writing, remember, Mary's classes start next Monday, June 14th. Visit the Classroom Page to view what you'll be learning week by week. Enroll today to reserve your spot. Happy writing! Last time I posted, I discussed writing articles that had a different slant for topics that have been done a million times like water safety or Abraham Lincoln. That post also made me think about novels and plot lines, and I've decided that the same concepts can be applied to longer works. At one critique group I belonged to, somebody told me there are no new stories. All plots can be categorized in to one of four categories: man vs. man, man vs. God, man vs. nature, or man vs. self. I'm not sure if that's true or not, but I do know there are some topics that have been written about time and time again, and they continue to be written about--but with a little spin. 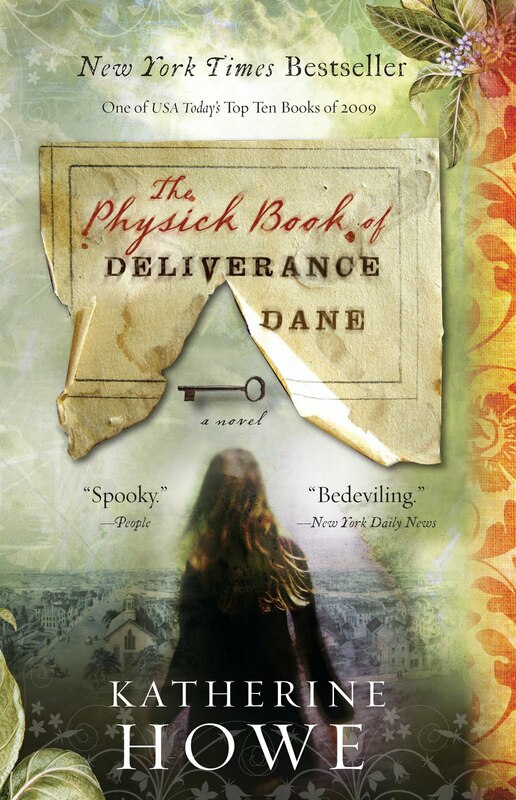 Take for example Katherine Howe's debut novel The Physick Book of Deliverance Dane, which centers on the Salem witch trials. There have been countless books written about this period of history. So if it interests you, how do you come up with something new? Howe did by asking an interesting question or two: "What if magic were real? What if there really were witches in the world (Salem)?" She explores these questions as she weaves together the present-day life of graduate student Connie Goodwin and the 1680s and 90s life of Deliverance Dane. She took an old topic--the Salem witch trials--and put a new twist on it--maybe some of the women really were witches. I tried to do this myself with the middle-grade novel I wrote titled Finding My Place (which is currently under contract with White Mane Kids). My story is set during the United States Civil War, and we all know how many hundreds of books--fiction and non-fiction--have been written about this time period. I read a lot of kids books, and what I discovered is most are set in the North and most are about soldiers or a child in the army. So, I decided to do a twist or two with my story--I set mine in the South, tell the story from a Southern girl's point of view, and keep it mostly about the citizens. Hopefully, it worked--I guess it worked enough to be noticed by a publisher. So, if you are interested in writing a book about a topic that already has several titles about it listed on Amazon, then don't give up your dream. Look for an unusual story in your research that no one knows much about and expand on it. Try writing from a point of view that most people don't. Ask questions that are unusual or not often thought about. You can still write about that common topic and write a great novel--just put a twist on it.